Give Blood – Save Lives – This week! Giving blood can save up to three lives and the need is constant. 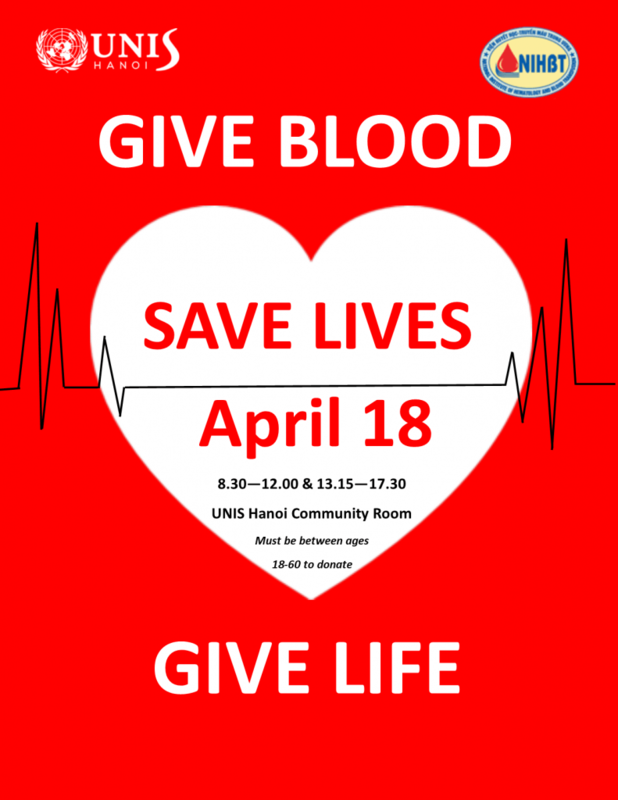 UNIS Hanoi is organising it’s annual community blood drive in collaboration with the National Institute of Hematology and Blood Transfusion (NIHBT) on Thursday, April 18 from 8.30 – 12.00 / 13.15 – 17.30 in the B7 Community Room. This event is open to the wider community to join. – Fill out THIS FORM (a schedule will be sent to you). What do you gain by donating blood?